Crescent Commons is a 288-unit suburban apartment community in Fayetteville, North Carolina. 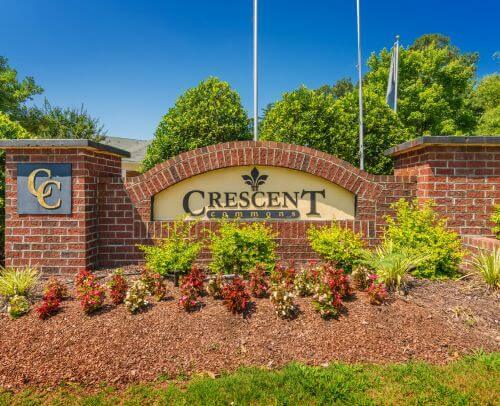 Centrally located near Fort Bragg, Pope AFB, Cape Fear Medical Center, and Cross Creek Mall, residents enjoy easy access to the city’s primary employment, shopping, and entertainment venues. Community features include clubhouse, 24-hr business center, child-care center, 24-hr fitness center, pet park, swimming pool with sundeck, children’s playground, outside storage, and picnic area with grilling stations. Crescent Commons was developed in 2002 and 2006 and consists of 288 apartment homes ranging from 770 square foot one bedroom floor plans to 1304 square foot three bedroom plans. Individual unit features include stove with cooktop, refrigerator, built-in microwave oven, two-tone paint scheme, 9’ ceiling, walk-in closets, 6-panel doors, washer/dryer connection, and mini-blinds. Select units have sunroom, entertainment bar, exterior storage, and patio/balcony. An extensive property upgrade program will begin immediately after closing and will focus on enhancements to the clubhouse and community amenity package, exterior curb appeal, and interior unit upgrades.